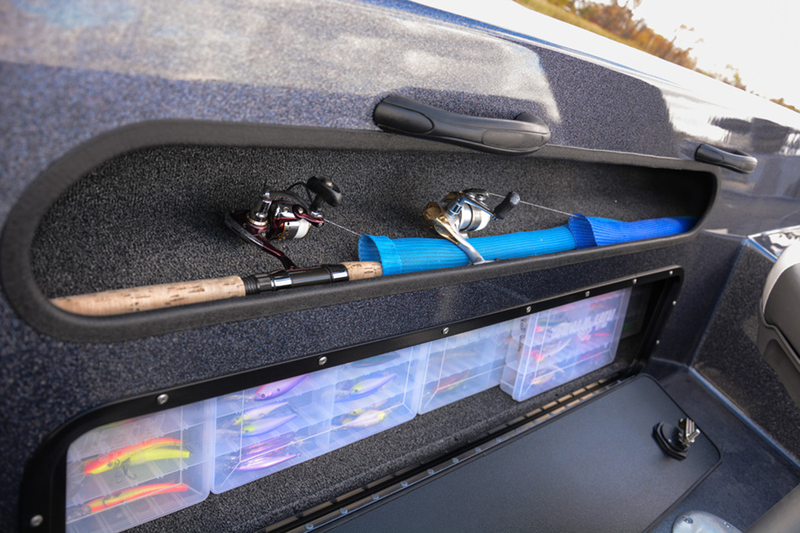 Made from the ground up for backtrolling, this model has room for four anglers with plenty of dry storage and an extended front casting deck. 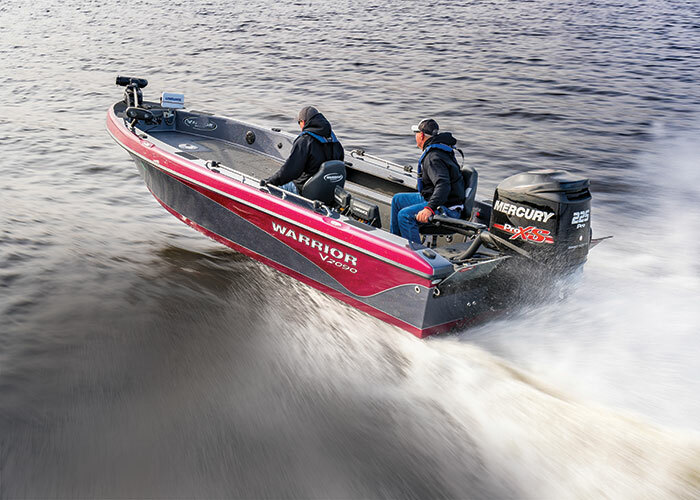 It can take up to 250XL HP without batting an eye and the Pro Tiller II Remote Hydraulic Steering System will get you where you´re going with precise control and handling. 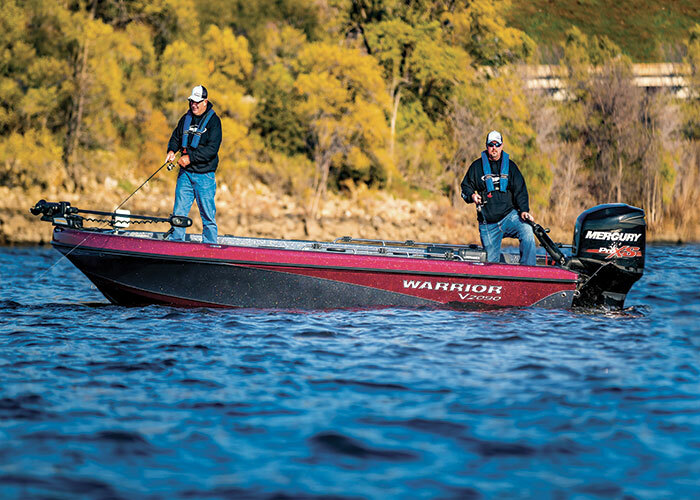 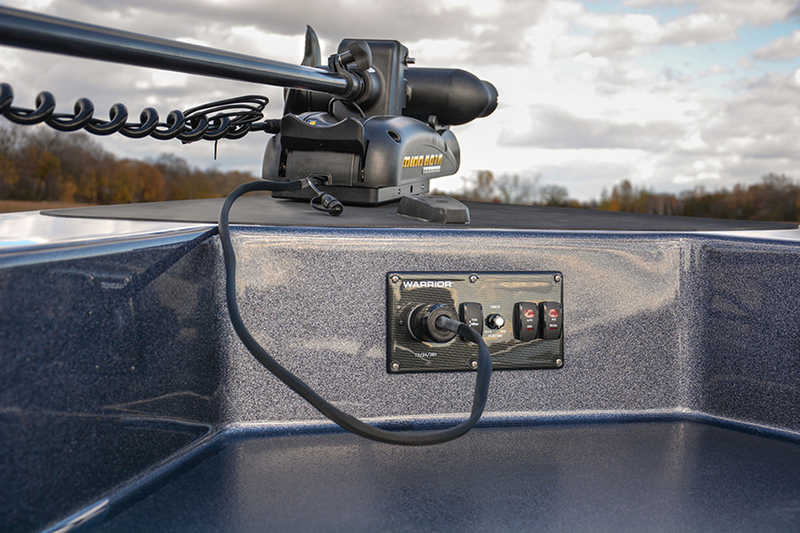 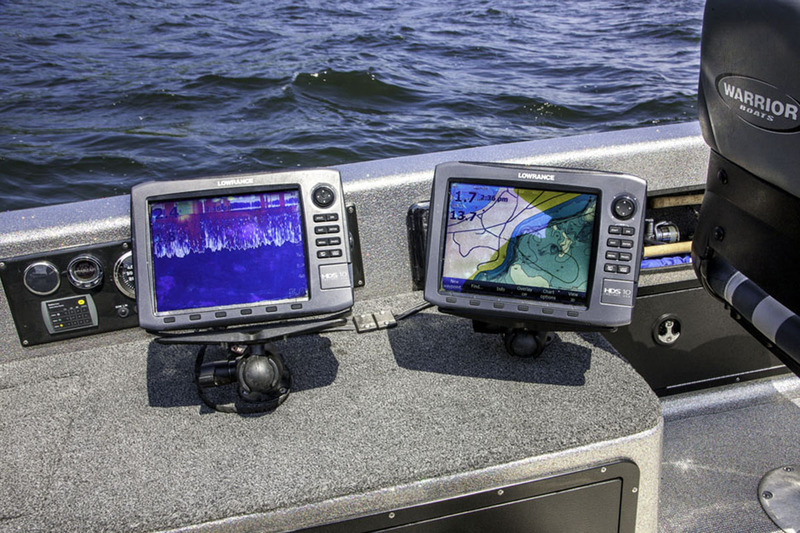 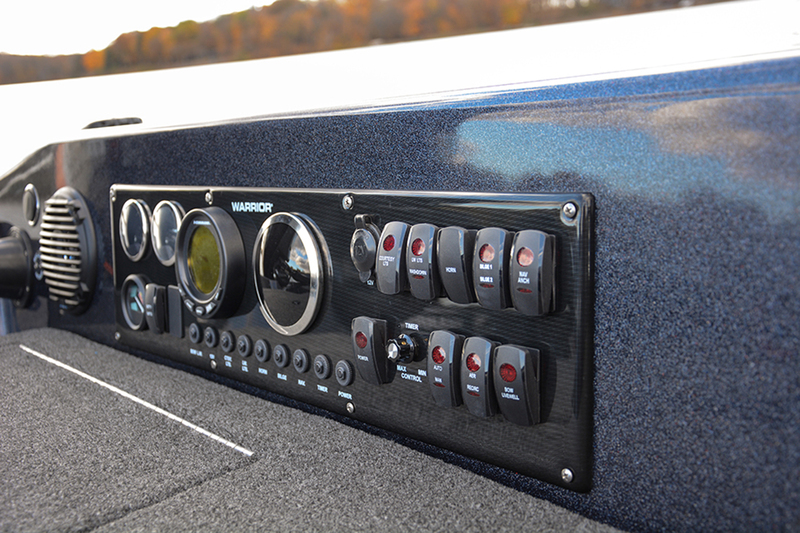 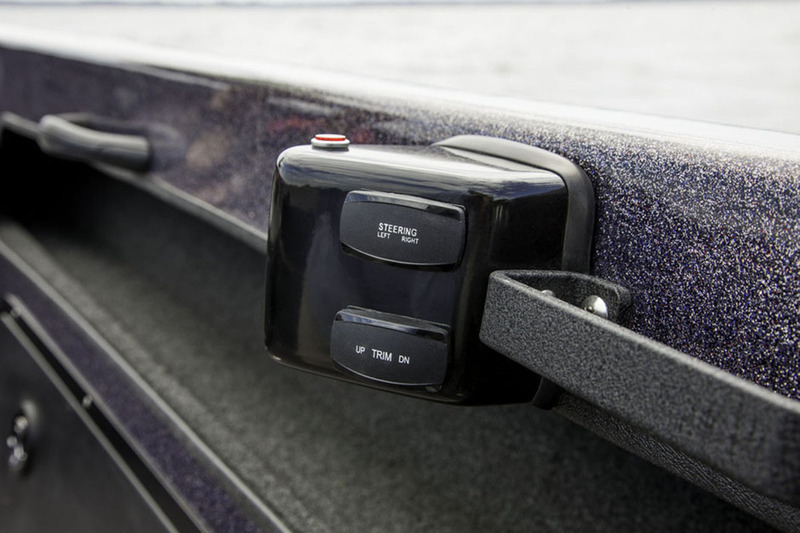 It’s one of the best reasons to own a Warrior boat. 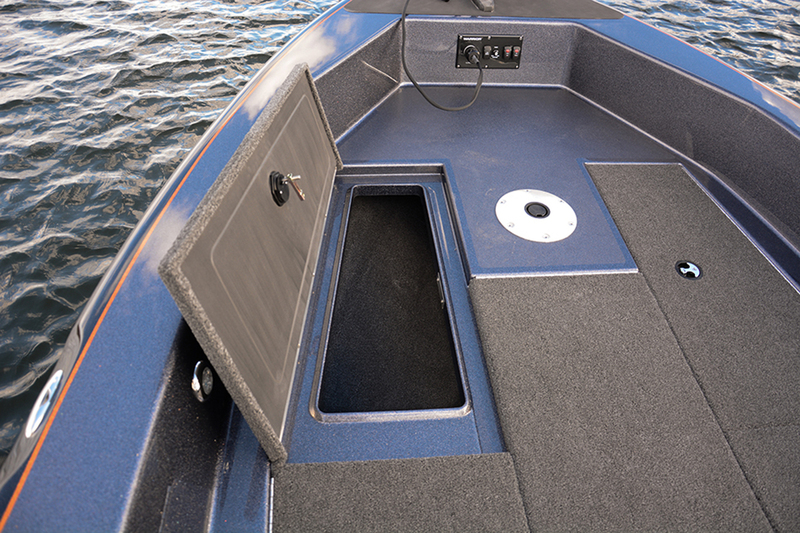 Approximate Boat Weight	 2100 Lbs. 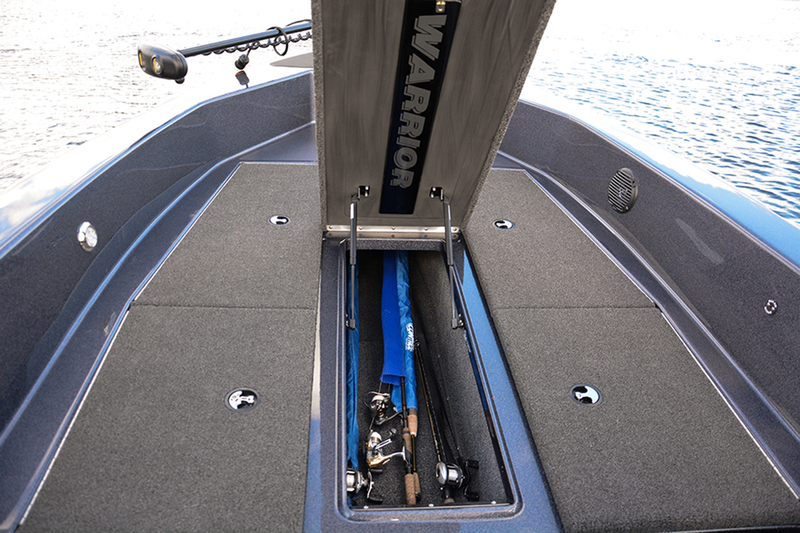 Center Rod Locker	 8' 10"
3 Custom Warrior Seats w/ Power Bell & Slide.